Maryland's health care exchange has announced hearings for public comment on regulations to create a reinsurance program for the individual health insurance market. BALTIMORE (AP) — Maryland’s health care exchange has announced hearings for public comment on regulations to create a reinsurance program for the individual health insurance market. The Maryland Health Benefit Exchange has scheduled four hearings. One of them is scheduled for July 26. The other three are set for next month. The state’s reinsurance program will aim to keep consumer costs down and bring greater certainty to Maryland’s individual insurance market. Gov. 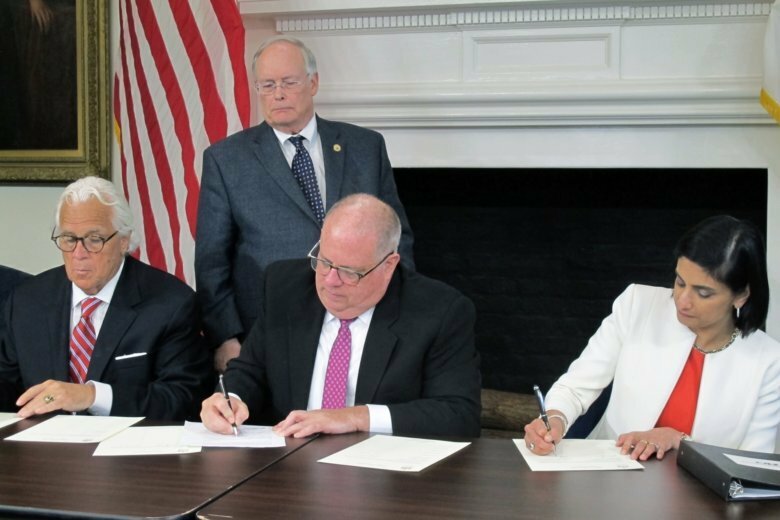 Larry Hogan and Maryland lawmakers approved legislation this year to create the program out of concern the state’s individual market could collapse under rate increases of up to 50 percent without action. Reinsurance provides a safety net for insurers by helping to pay large claims.